Tsunami, you may have probably heard of it on TV news, or perhaps watched a movie on these killer waves. The name “killer wave” for tsunami may seem odd, but it is the meaning of it in the Japanese language. Tsunamis are a number of giant waves that occur in oceans or large lakes. These waves grow stronger and stronger upon reaching towards shores. 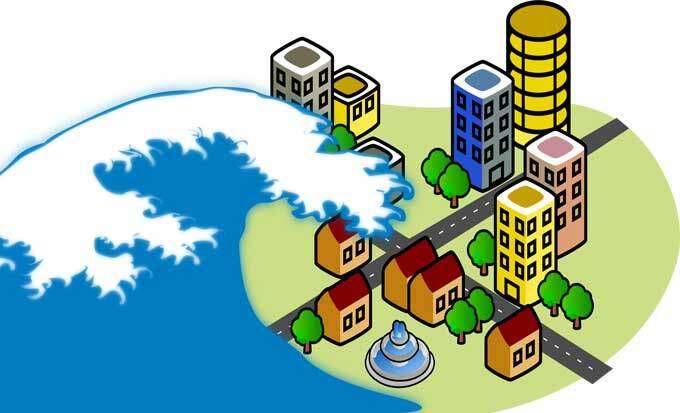 Tsunamis are known for their massive destruction, especially the cities near them get most of the destruction. Tsunamis are the mighty waves that are caused due to sudden displacement of water in oceans or large lakes. So, how water displacement causes a tsunami? To understand this, let’s make a little tsunami in your water tub! For this, when you are in your bathtub, just move forward quickly. You will see a large amount of water will rise high, flooding your floor. The same thing happens during the tsunami, but instead of one wave, you will get a number of waves in the real tsunami. So, what causes water to displace suddenly in the oceans? Well, the credit goes to some geological activities. 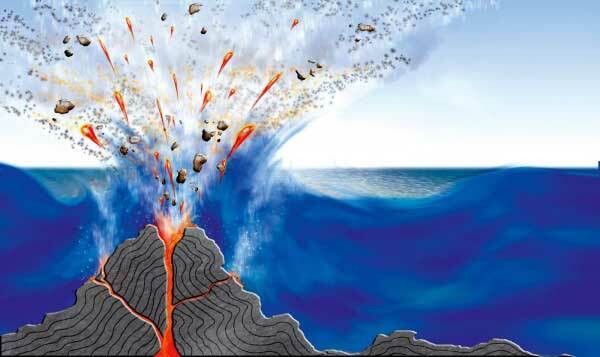 These activities are volcanic eruptions, landslides, breaking-off glaciers, and earthquakes. These all activities when cross a certain limit displaces the water so quickly that tsunamis are born. The geological activity that causes most of the tsunamis is an earthquake. Earthquakes are a sudden movement of a large area of crust – upper layer of earth. As a result, the gaps are made along the way in the crust. When these gaps appear in ocean floors due to underwater earthquakes, the tsunamis take place. So a tsunami is just appeared, what happens next? 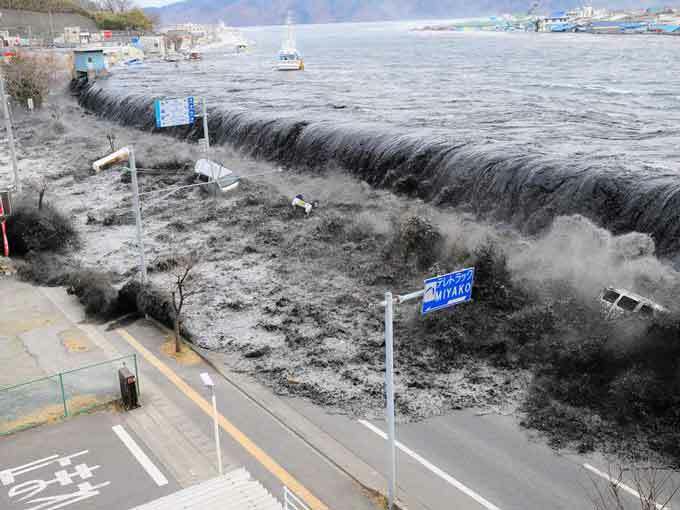 The waves of tsunami starts appear in the locations where the water has just displaced. These waves are hard to be recognized as tsunami waves because their height is few feet in Deep Oceans. But as these waves travel towards shore they gain height, while traveling at the speed of hundreds of km/h. When a tsunami reaches near the shore their height may reach 100 feet. With such a height and very high speeds, tsunamis become one of the most destructive events. They strike the shore with very high force and penetrate a great distance on the land. Tsunamis are just the waves that appear as a result of geological activities. So, they can appear on any large body of the water e.g. oceans and lakes. But, the most probable place of their appearance is in the Pacific Ocean. 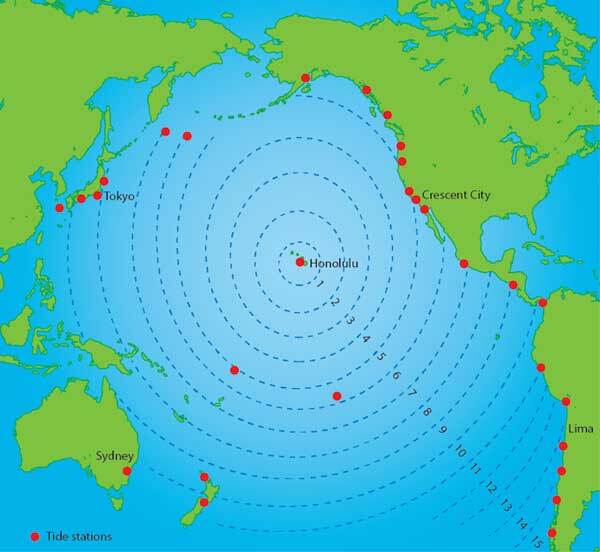 Because the Pacific Ocean receives a large number of earthquakes throughout the year. Also, the underwater volcanic activities are high in the Pacific Ocean. The Pacific Ocean receives tsunamis more than any other open body of water. Due to this reason, the countries that have their coastlines on the Pacific Ocean are more vulnerable to tsunamis e.g. Chile, Japan, and the USA. The destructions caused by tsunamis are very severe. People living near the zones of tsunamis, or tourists who are visiting these zones must take precautions. Also, this disaster may appear anytime so being prepared is necessary if you are close to shorelines. The most prone areas that receive most of the impact are low lying. 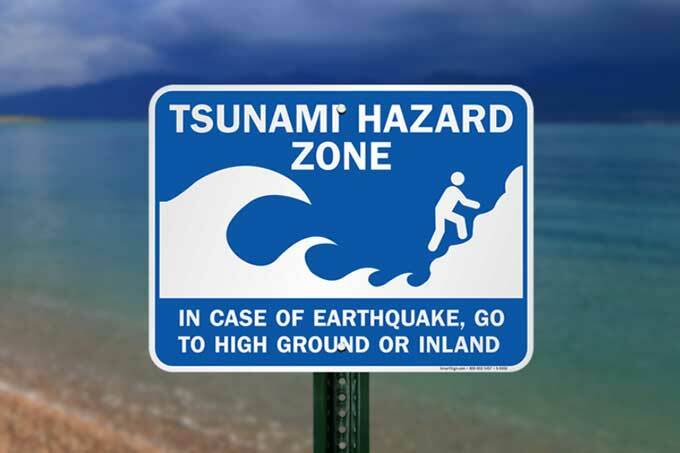 So, when the warning for a tsunami is given or there is a doubt about the tsunami, go to a higher ground. Also, leave the under risk if it is possible for you. When a warning is circulated, don’t go near shores to watch tsunamis just for fun. 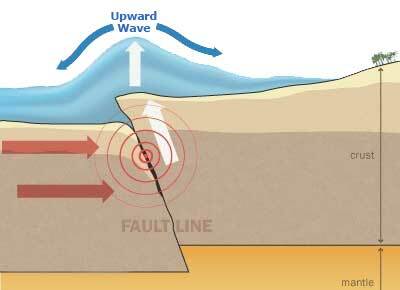 Tsunamis occur as a train of waves. So, if the first wave has just gone don’t go out of the safe zone, because another wave may be on its way to the shore. If an earthquake strikes, just go towards a safe zone without waiting for the warning. Because earthquakes are often followed by tsunamis. You should already have an evacuation plan, in case if you are unable to listen to a It will help you in hurry. Checkout some amazing facts about tsunamis. A tsunami had hit the shorelines of the Indian Ocean in 2004, which resulted in the death of 230,000 people! Sometimes trough (downward bulge) part of the tsunami reaches first. As a result, the water moves back from the shore. But, after some time a massive head of the wave comes and floods all the shoreline. Meteorites may also cause the tsunamis. It was reported by some scientists that a massive tsunami hit the land about 3.5 billion years ago – wiping-out many life forms from our earth. 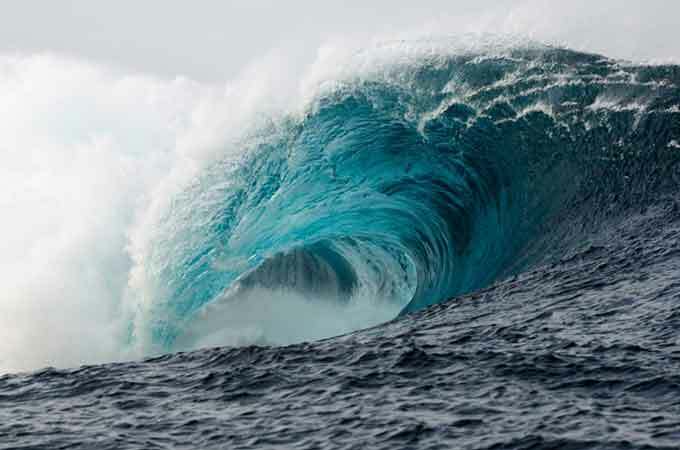 Abdul Wahab, "Tsunamis," in Science4Fun, April 12, 2019, http://science4fun.info/tsunamis/.